The policy is expected to come into force on 11 June. The EU Council approved a legislative initiative on the abolition of short-stay visas for Ukrainian citizens. "The adoption of the regulation on visa liberalisation for Ukrainian citizens is an important development, which will help strengthen ties between the people of Ukraine and the EU. It follows the completion of the necessary reforms by Ukraine in a number of areas including migration, public order and security, external relations and fundamental rights. Furthermore, the revised suspension mechanism recently adopted by the EU makes it possible for the Union to suspend such liberalization, if there are serious migration or security issues with Ukraine," Carmelo Abela, Maltese Minister for Home Affairs and National Security, said on this occasion. To speed up the procedure, the decision was taken by the Council of Ministers of Agriculture and Fishing, which meets today, instead of waiting for the meeting Profile Council of Ministers of the Interior. The ceremony of the signing of the resolution by the President of the European Parliament and the representative of the Presidency of the EU Council is slated to be held on 17 May, and will be attended by President Petro Poroshenko. After that, the signed regulations should be published in the EU Official Journal and will enter into force 20 days later. 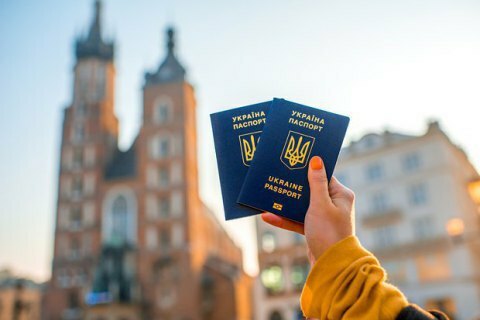 Ukrainian citizens with biometric passports travelling to the EU for up to 90 days for business, tourist or family purposes will no longer need a visa.